Everybody wants to rank number one, but is this really the right goal to pursue? 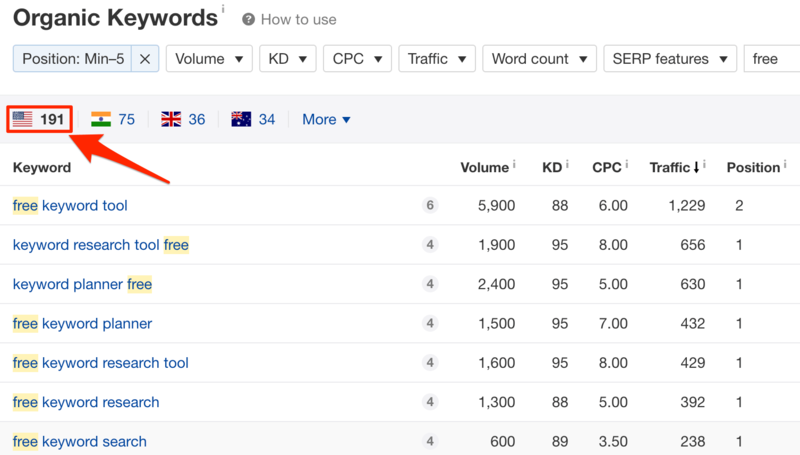 Our study of 100k keywords says not always. 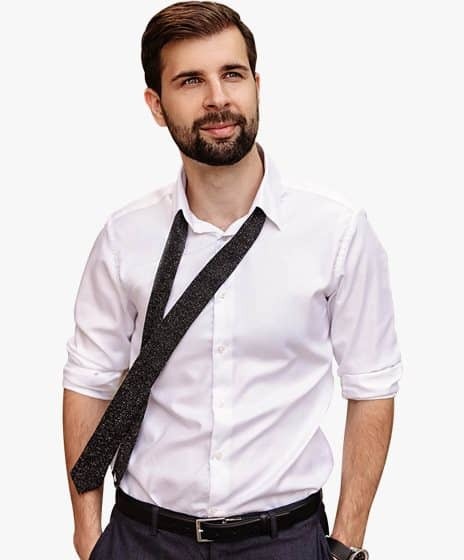 Can you rank my website #1 in Google for these keywords? How long will it take? How much will it cost? Nothing is wrong with any of those questions, but they do demonstrate a fundamental misunderstanding of how SEO works in 2019. Why? 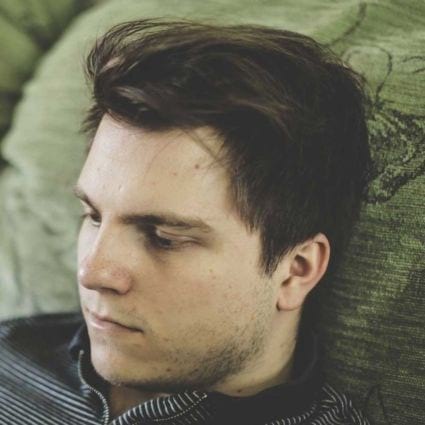 Because ranking #1 doesn’t always equate to SEO success. The amount of traffic (that drives sales and conversions) is what really matters. If you’re tired of explaining this to clients, then you’ll love the results of this study. 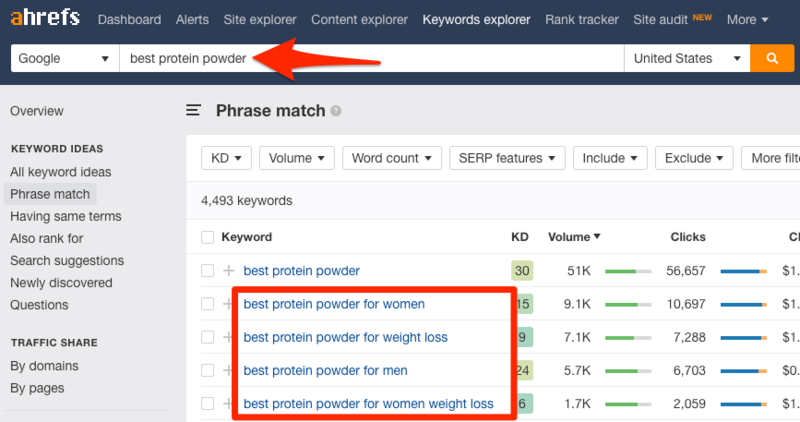 I use Ahrefs Keywords Explorer—our keyword research tool—almost daily. Most of the time, this is to check the search popularity of topics we’re thinking of writing about on the blog. Sometimes though, it’s just for fun. Still, these days, I rarely pay much attention to the search volume of individual keywords (I explained why here and here). Rather, I look at the amount of search traffic to the top‐ranking pages. 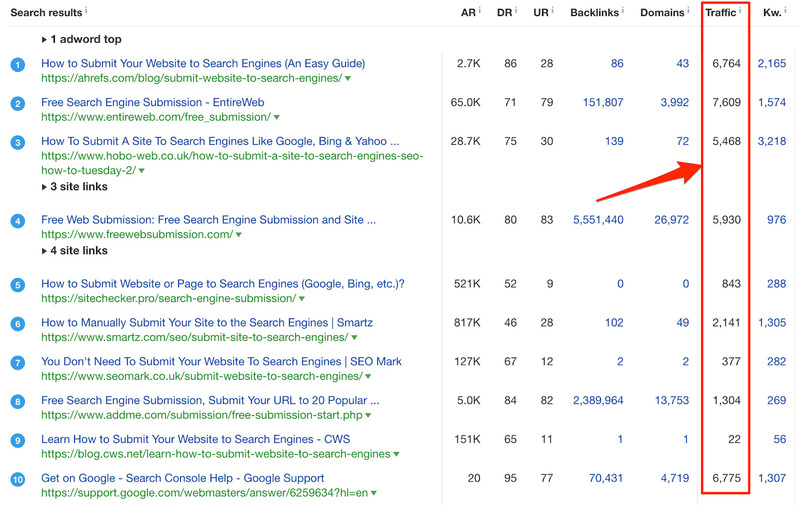 To explain why, take a look at the query “submit website to search engines” in Ahrefs’ Keywords Explorer. It gets 1,400 searches per month in the US. If we assume a click‐through rate of ~30%, then the search traffic potential of this keyword in the US is ~400 per month (1,400 * 0.3). Some of those numbers are closing in on 20x our estimation above! Why does this happen? 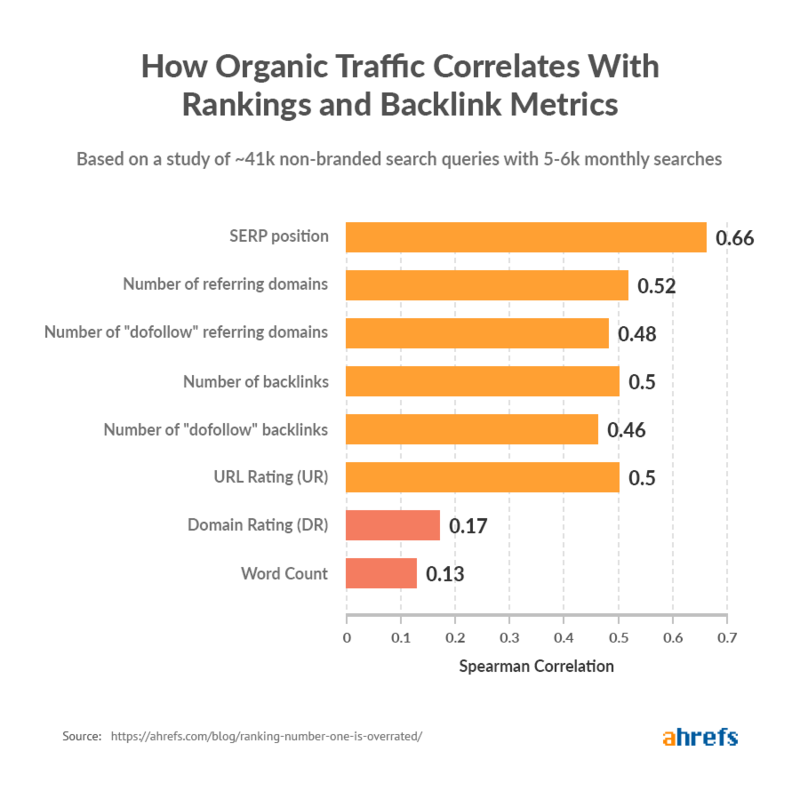 Because those pages also rank for—and get traffic from—hundreds of long‐tail keywords. Now take another look at the screenshot above. 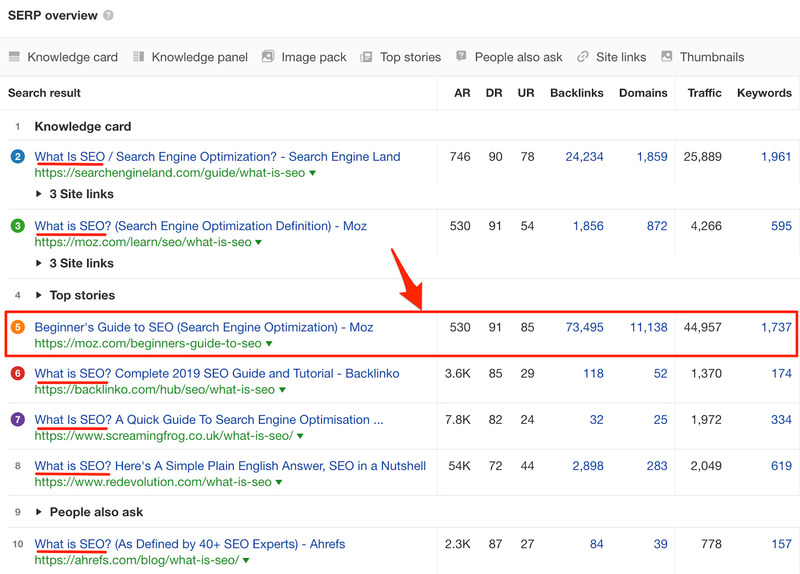 The top‐ranking page isn’t the one that gets the most total search traffic! This is something I notice all the time. The top‐ranking page often gets less search traffic than other pages in the SERP. The traffic numbers of the top‐ranking pages rarely show the trend you might expect. They don’t always go in descending order. This is the case in the screenshot above. The page ranking in position #1 gets less traffic than those in positions #2 and even #10! So, the question is: how often does this actually happen, and what impact (if any) does it have on the way you do SEO? To answer this question, I got our data science team to study this at scale. 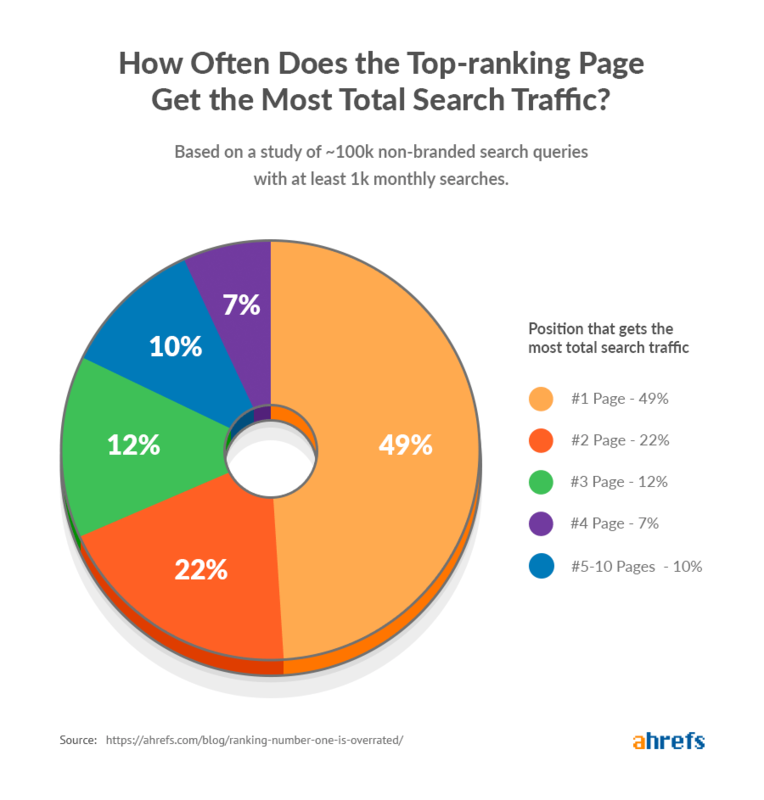 The study: how often does the top‐ranking page not get the most search traffic? Calculated how often the top‐ranking page got the most search traffic. 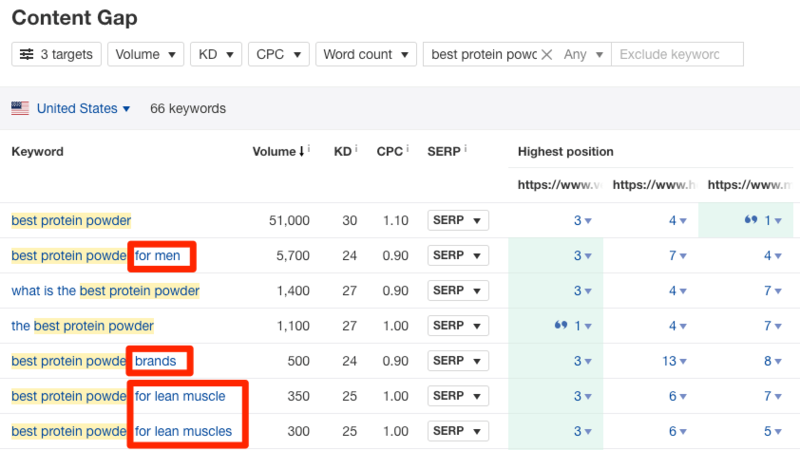 *the keywords we analyzed had either 1k‐2k, 5k‐6k, or 10k‐11k monthly searches. This pie‐chart clearly shows that ranking #1 is overrated. The top‐ranking page gets the most total search traffic only 49% of the time! The top‐ranking page is the one with the most total search traffic only 49% of the time! we actually studied those ~100k keywords in three groups by search volume (1k‐2k, 5k‐6k, 10k‐11k). Our thinking was that the results may be different based on the search popularity of the keyword. But the resulting numbers were so close that we decided not to share all three experiments and take the average instead. 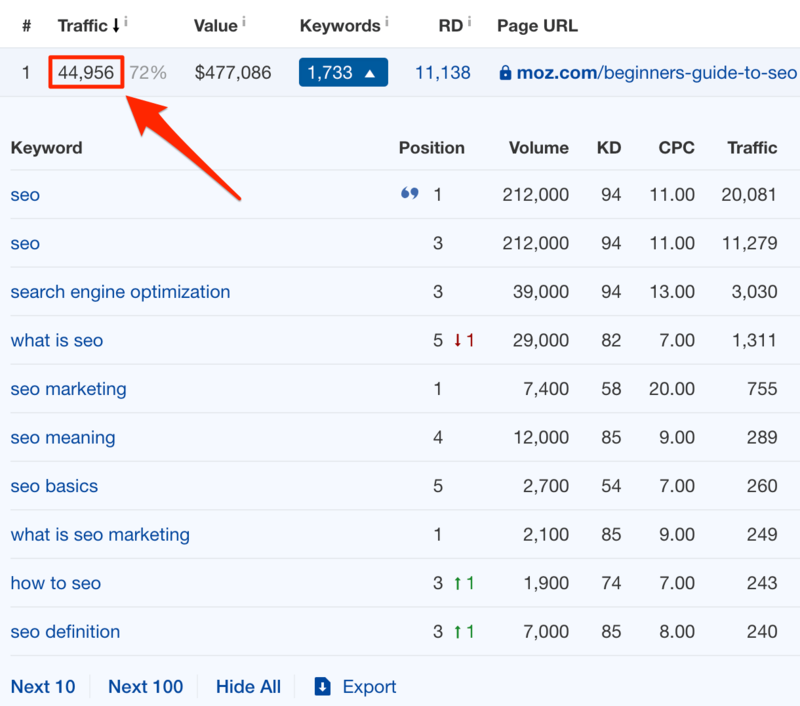 I’m not trying to convince you that ranking #1 for your “main keyword” is a foolish goal. It isn’t, so there’s no need to stop sending your clients pretty reports detailing the ranking progress for their desired keywords. The position of a page in Google for your head term is still a good indicator of SEO success. That means it’s possible to get more traffic than your rivals even when they outrank you. Our post only ranks at position #6, yet gets almost 3x more traffic than the article from Backlinko that ranks #1. 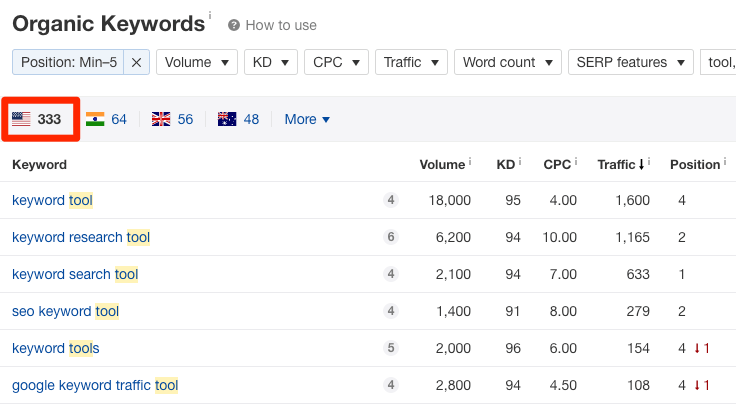 … but also free keyword research tools. In fact, our article ranks in the top 5 for 191 search queries (in the US) with the word “free” in them. 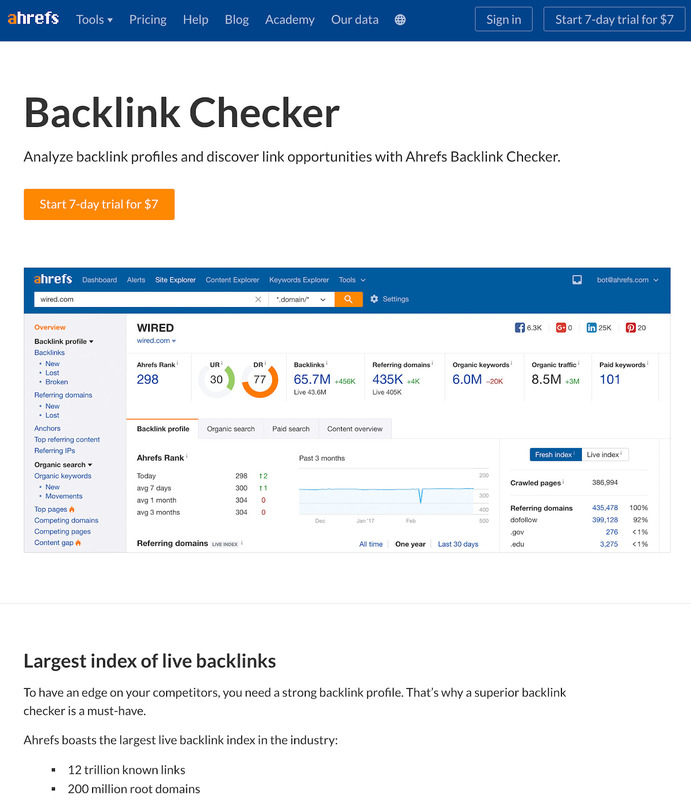 The top‐ranking article from Backlinko only ranks for four. Tip #1: Check the Phrase match report in Ahrefs’ Keywords Explorer. Look for long‐tails you can simultaneously cover alongside your main topic. Tip #2: Paste the URLs of the top 3 ranking pages into our Content gap tool. Filter only for keywords that include your main topic. “Why chocolate labs have shorter lifespans […]” is most likely ranking so high thanks to the click‐bait nature of its headline. There’s no way you could ignore that headline if you were researching chocolate labradors. “Chocolate Lab — Your Guide To The Chocolate Labrador Retriever” is a clear attempt to create the best possible resource about chocolate labradors. It’s hardly surprising that it gets more relevant search traffic than the other pages. Google has even rewarded it with three site links. Second, there are three pages that get way more traffic than the rest. They’re not targeting a narrow topic, but are broadly‐focused. In other words, they’re comprehensive articles with lots of “authority.” That makes them relevant and valuable results for a bunch of long‐tail queries too. 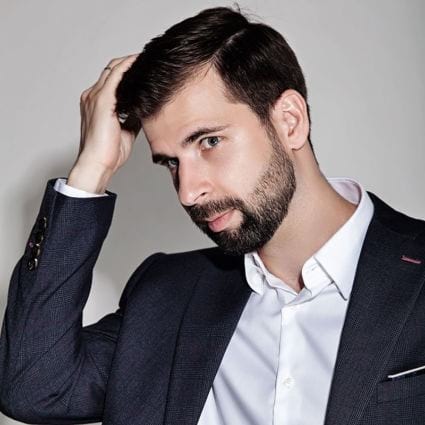 This guide has accumulated so much “authority” over the years that it now ranks for tons of SEO‐related queries and gets an enormous amount of highly‐relevant traffic. That page is the only broadly‐focused result in the top 10. 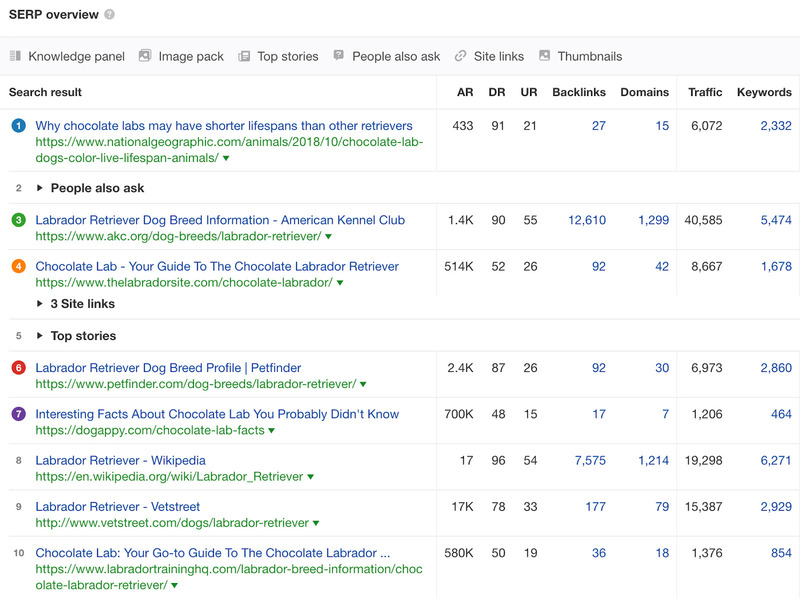 That’s because people are happy to learn about chocolate labradors in the context of the general dog breed. How do we know? Because Google is known for tracking “searcher satisfaction.” If people weren’t clicking on those results, or if they didn’t address their needs, Google would soon figure that out and remove them from the SERP. 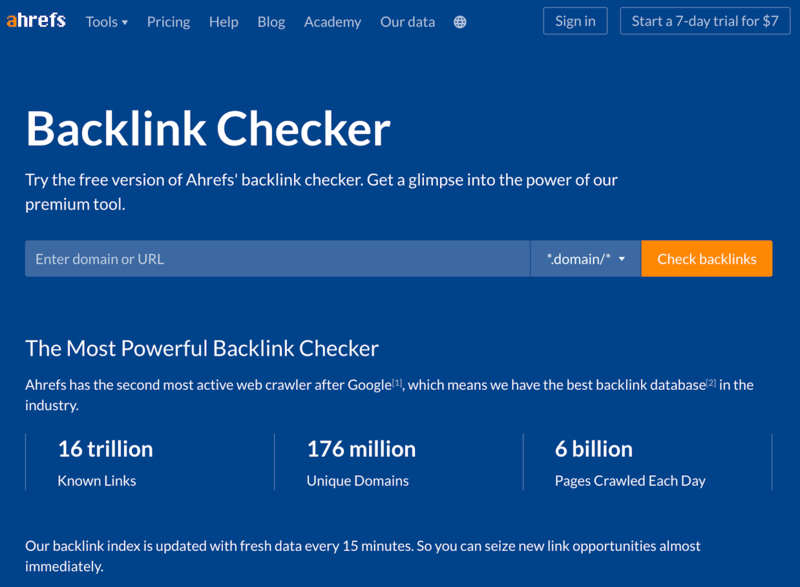 Last year, we wanted to rank for the keyword “backlink checker.” So we made a landing page and described the backlink checking functionality in Ahrefs’ Site Explorer. No matter what we did with this page, we couldn’t get it to rank. We did some outreach to earn quality external links. 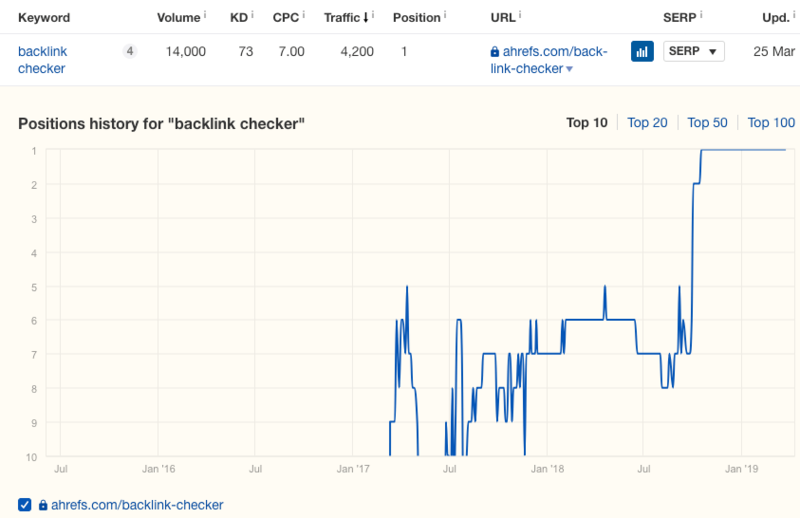 So we built our own free backlink checker tool and added it to the page. We didn’t change much else. The content remained largely the same. Basically, we added an input form that turned our landing page into a free tool. Nothing complex. 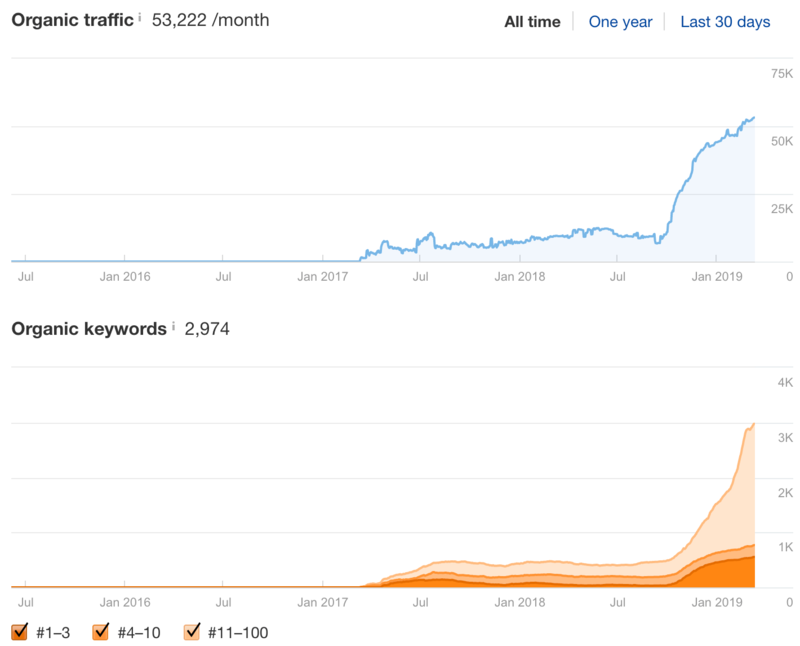 Heck, the page even survived a negative SEO attack where someone was kind enough to point ~30k low‐quality backlinks from ~600 domains our way shortly after our rankings shot up. We didn’t even bother to disavow them and the page is still going strong! 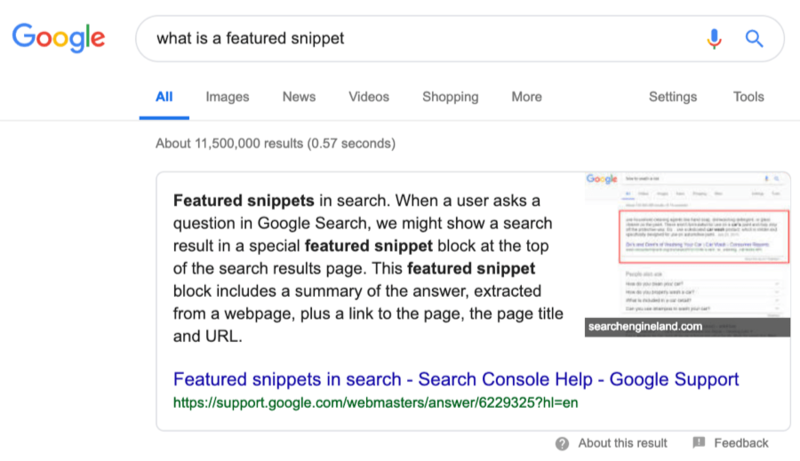 A featured snippet is a brief answer to a user’s search query, which shows up at the top of Google’s search results. Google extracts the snippet from one of the top‐ranking pages. 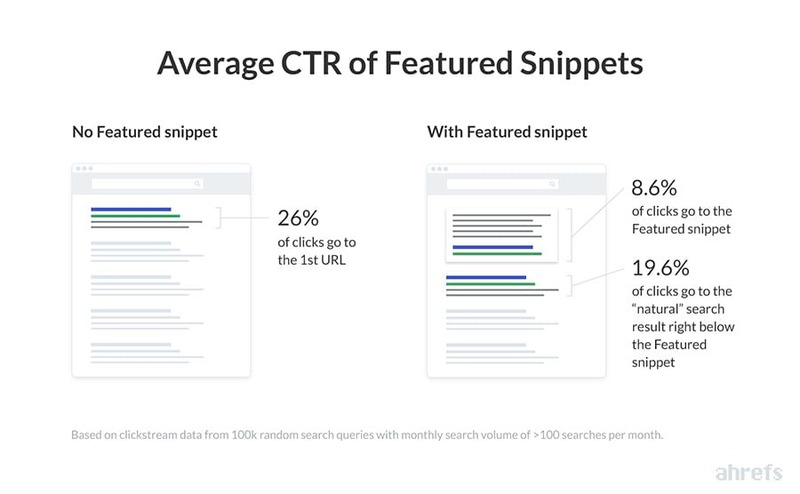 If you’re lucky enough to “own” the snippet, it results in a lot of extra visibility and more clicks. You also effectively steal clicks away from the other top‐ranking pages. We rank in position #5. 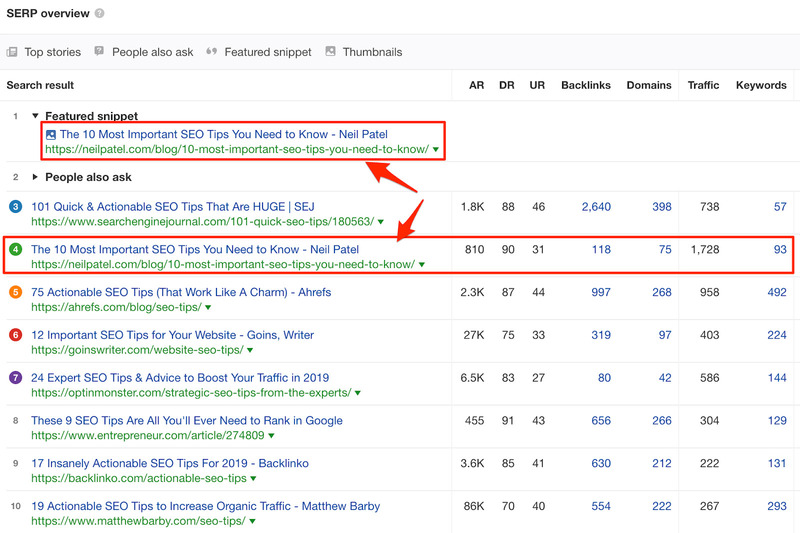 If Neil Patel didn’t own the snippet, our page would have the most search traffic of all the results. That featured snippet sends him 937 visits per month and accounts for over half of the traffic to the page! Looking to learn more about featured snippets? Check out our study of 2 million snippets, and our guide to finding and ‘stealing’ them. For the record, we excluded SERPs with featured snippets when studying the top‐ranking pages that get the most search traffic. I’m quite confident that most of what I said in this article is not news for the vast majority of you. But it never hurts to support opinions and assumptions with hard cold data, right? And I have to be honest… it did surprise me that the top‐ranking page only gets the most search traffic 49% of the time. I expected that number to be much higher. 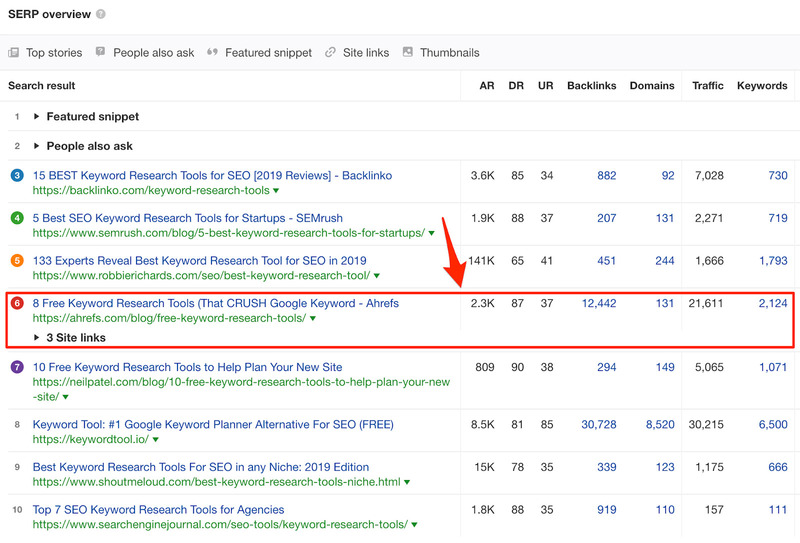 Still, I hope this article helps to convince your clients, or CMO, that your job as an SEO professional isn’t to rank #1 for some keywords. It’s to help attract as much relevant search traffic as possible for a given topic. Let me know in the comments if and when you realized that ranking #1 isn’t the true goal of SEO.